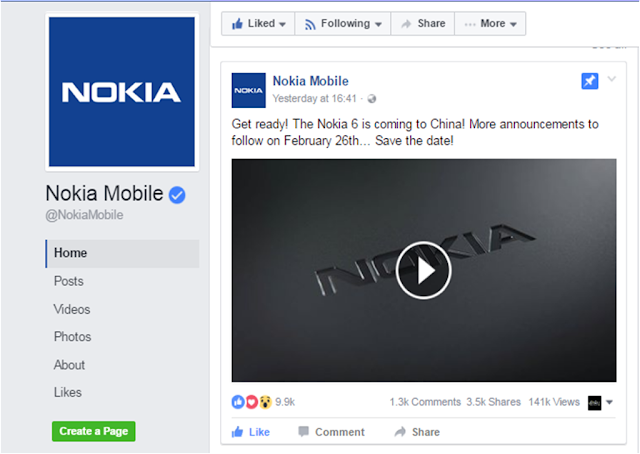 LoveNokia | Latest News and Information about Nokia Mobile: 26th February, 2017 - Next Nokia Announcement at MWC... Save the Date! 26th February, 2017 - Next Nokia Announcement at MWC... Save the Date! Everyone is Excited about Nokia's Android smartphones and the wait is almost over. Just 1 month more to go and we will see Nokia reveal their awesome Android Smartphones at Mobile World Congress on 26th Frebruary. How many smartphones will Nokia announce at MWC? Lets wait for 26th February to find out the best that is yet to come. Save the Date!